Summer has faded away right before our eyes. Hot, humid days spent at the beach and warm, fun-filled evenings surrounding a bonfire roasting marshmallows have turned into long school days and chillier weather. Autumn isn't all bad, though! With the changing season comes a whole host of fun holidays, exciting Neopets events, and other wonderful things! Crisp cool air, beautiful foliage, hay rides, fairs, and Halloween are the first things that come to our minds when we think of fall. One of our favorite things about fall, however, is all of the awesome wearable fall/Halloween items TNT puts out for us every year! We love being able to translate our love for this season onto our Neopets by dressing them up in fabulous fall-themed outfits! Below we have put together 14 outfits using only the best of fall fashion for those out there who have a hard time coming up with outfits on their own. Even if you don't use any of these outfits yourself, they could be helpful for inspiring your own fall-themed looks. We tried to make a variety of looks and included ten outfits using NeoCash items. We are avid fans of the NC Mall, so much of our customizing uses NC items. However, we do understand that not everyone is as lucky as we are to be able to purchase NeoCash for whatever reason. For those people, we've also included four outfits that include only Neopoint wearables! One of the most popular fall time activities involves trips to farms for apple or other fruit picking, hayrides, or getting pumpkins to carve for Halloween! This look is based on that aspect of fall, and starts off with the Autumn on the Farm Background. 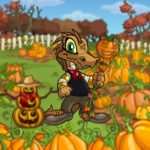 If you use the Multi-Coloured Gourd Foreground, it will look as if your Neopet is trying to pick out a pumpkin! For the clothing, Darling Autumn Dress, Autumn Tiara and a nice pair of brown shoes match well with the rest of the look! Finally, for the handheld we'd use the Delightful Doglefox Purse. This purse is absolutely adorable, it fills in some empty space, and the colors match the rest of the look. There are often many rainy days in autumn, and we both love the smell of rain, especially during this time of year! Here is a stormy autumn day look for you. The first item shouldn't come as a surprise – it is the Stormy Autumn Evening Background. Next, as a handheld item try the Autumn Umbrella - you'll notice this umbrella comes complete with rain drops, adding to the rainy day look. Of course it seems silly for your umbrella to be dripping if there is no rain! 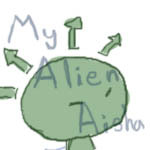 To fix that, go ahead and add the item Rain Shower. For clothing we'd say add an Autumn Faerie Dress and Autumn Faerie Cape, along with matching brown shoes. (If you have a male pet, you could try an Autumn Leaf Jacket or Autumn Wool Coat with matching trousers!) Your pet could wear an Autumn Tiara or his or her favorite wig! Having an Autumn Wheelbarrow Trinket will add to the look and fill in some empty space! The next look is Halloween-themed and can have many variations to it. Essentially the idea is to make it appear as though your Neopet is going trick or treating! The first item it involves is the Trick-or-Treat Doorstep Background. This background is adorable and when used it makes your Neopet look as if he or she is about to ring the doorbell of a neohome to trick or treat. Trick or treating wouldn't be trick or treating without candy, though! Add the Halloween Candy Shower just to add a little more fun and action to your look. To further the theme, the next item is the Designer Trick-or-Treat Bag, since this item is a sack full of trick or treat candy, on top of being just plain adorable! For clothing, we wanted to make things seem a little bit spookier, so we used the Spooky Spyder Top Hat and Spyder Web Dress. You could also use a costume, like the Noil costume pack or the Meepit costume pack, to make it look like your Neopet is dressed up for Halloween! We would personally also add the Haunting Ghostkerchief and Hovering Broom trinkets to fill up some empty space and because they look cute together, but this is of course optional. If you are going with the dress, you probably want to add shoes. We would go for a black or dark purple pair. The second Halloween look we put together is a bit spookier! First, start off with the Haunted Graveyard Background. This creepy background is one of our favorites with all of the tombstones and ghosties wandering around. If you add the Here Lies Fluffy trinket, it blends right in with the rest of the background as it's also a tombstone. For clothing, try the Adorable Wonderland Shoes and Tights (or other black shoes) along with the Ghostly Sheet Costume, for a nice ghostie flare! You can also add A Rolling Fog for added eeriness. The last Halloween look we prepared uses the Haunted Manor Background. Once you have your background we would recommend you dress your pet in The Three Collectors Cloak along with a pair of black shoes, as it will definitely have your Neopet looking creepy! You can add to the creep factor by giving your pet a wearable weapon. The item we would choose is the Jeran Collectors Sword. We'd also add the Dirt Patch of the Undead and the Spooky Moon item, to fill in extra space and just to spice up the look a bit. During autumn, we often use grand feasts to celebrate this very bountiful time of year. Whether it is family, a good harvest, or good friends, fall is a time to take a step back from everything and show how thankful we are for the things we have. To turn this into a Neopets theme as well, try using the super festive Harvest Feast Background, which is a feast fit for a king. Match this with the Pardoned Gobbler Trinket - the background makes this gobbler look like a very lucky fellow! We like to couple this with the Charming Corn Husk Dress, which just adds to the harvest feel of the background, and on top of your Neopet's head we would use the MiniMME6-S2: Golden Flower Wreath Wig. We think the orange hair in this wig complements the green dress, and the leaves in the wig are golden, much like the beautiful leaves in the trees outside! (If your Neopet is a boy, we recommend replacing the dress and wig with: Curly Blonde Cherub Wig, Green Argyle Sweater Vest, and your favorite matching trousers!) As for shoes, you should go with any pair of brown shoes you like. Another event associated with autumn is going back to school! Here is an idea for a back to school outfit: start off with the School House Background. For clothing, we suggest the Smart School Girl Shirt - despite the name, this top will also work on male pets! Have your pet wear it with a matching pair of trousers and shoes, for example the Black Utility Trousers and Daring Sea Captain shoes. Adding the Smart School Girl Eye Glasses will finish off the clothing portion of the look. The School Books with Strap is a cute trinket for the outfit and it comes complete with an apple for your pet's teacher! Finally, for a handheld item we'd recommend a purse for a female pet, or a plushie for a male pet, as it will look like he is bringing his favorite plushie for show and tell! There are also NP wearable backpacks you can add to this look as well. One of the fall's most anticipated events is the Games Master Challenge that TNT puts on for us each fall. Your pet needs to look the part of a gamer, or else AAA is likely to laugh at you! (Okay, let's face it; he will probably laugh at you anyways.) For the ultimate gamer look, try the Games Master Background - AAA is sure to be impressed by all those games your pet has mastered! The most obvious choice for clothing is the Games Master Challenge NC Challenge 2010 Lulu Trousers, Games Master Challenge NC Challenge 2010 Lulu Wig, and 2010 Games Master Challenge NC Challenge Lulu Shirt with a pair of blue or red shoes. The background is quite busy so you don't need a foreground or garland, but a handheld would be nice. Some possible choices could be the Super Soft Lulu Plushie or the Spacerocked Sling Shot. The following outfits are made only of neopoint items! Something you should note about NP items is that often the best NP customization items are species-specific items. Since we wanted to make this as a general guide, we're not going to use species-specific pieces. However, you may want to look into them when dressing your pet because you may have species-specific wearables that will look better than what we suggest below! The first neopoint outfit is a general fall time outfit! Start off with the Autumn Country Road Background - this background is lovely! It's exactly what we think of when we think of an autumn day. Traveling to a quaint country road with bright blue skies and beautiful foliage! As for clothes, try the Veiled Autumn Hat, Long Orange Dress, and matching brown shoes; the orange, red, and yellow colors in the dress make it perfect for fall! Add the Carved Walking Stick as a handheld to further the illusion of your pet going on a walk through the country side! You can also add the Fallen Pine Cone to add to the fall scenery! The next fall outfit is quite simple, because to be honest there are sadly not very many autumn NP wearables! Hopefully that will change this season (hint hint, nudge nudge, TNT!) For the background in this outfit, we chose the Crumbling Ancient Castle Background. It's a really pretty fall-themed background that we hadn't even known about before doing some research! For the clothing we chose the Basic White Shirt, Altador Cup Skirt, and any shoes you have that may match! (Like we said before, check into which species-specific clothes your pet can wear as there may be a better alternative. These were just the only simple clothes we could find to match the background that could be worn by all species!) As for a handheld, we chose the Autumn Guitar. There is more you could do with this outfit, especially if you added in some NC items, but we're going to leave it as it is. It's a nice outfit for those who like simpler customizations! For a NP Halloween outfit, try one of the many wearable costumes there are such as the Giant Moach Costume, or the Deluxe Polarchuck Costume, Deluxe Polarchuck Costume Head, and Deluxe Polarchuck Gloves. Many of these costumes will include shoes but if not, make sure you put on some matching shoes for your pet! This will make it look as if your Neopet is dressed up for Halloween! For a background use the Spooky Tower Entrance. As the name implies, it's super spooky-looking! To fill up space on the side and in the foreground, try the Isca Halloween Ghost on a String and the Malevolent Tombstones. The last neopoint outfit we have for you is a birthday outfit. 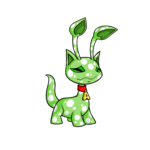 Like we said before, Neopets's birthday is in the fall, and it's easy to use NP items to dress up your pet for this event! First, we'd recommend the 8th Birthday Celebration Background since we think this is the most festive of the NP birthday backgrounds. The item Birthday Streamers looks great with this background without making it look too cluttered. There are many NP wearable birthday hats you could wear, but we would recommend the Sparkly Pink Neopets 8th Birthday Hat. As for clothes we recommend the Bright Striped Spring Shirt, the AAA Host Trousers, and the AAA Host Shoes. The shirt will really stand out against the already very colorful background. Finally, the Neopets 10th Birthday Celebration Cake is a cute trinket that will fill in some empty space on the side! You could add a handheld if you wanted, but given how much is going on in the background it's not really necessary. There you have it: fourteen fabulous fall fashions! We hope that this has inspired you to try out some new and different looks this season. Remember that these are merely suggestions, and are just meant to show people what types of items are out there! You can mix and match these or come up with your own unique autumn outfits. Also, fall has only just begun and we're sure that TNT has lots of new neopoint and Neocash themed wearables in store for us in the coming months! She seemed so peaceful lying there, in her own tiny world.